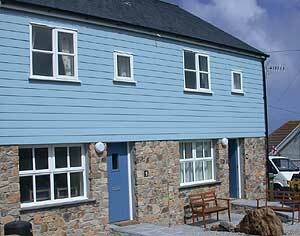 1 Harbour Mews is set in the heart of Sennen Cove . Complete with its own parking and fantastic sea views it is the perfect holiday accommodation for up to six people. Set back from Cove hill the property is just seconds from the sea but retains a good level of privacy and peace with its own terraced garden perfect for BBQ’s and al fresco dining. With a lovely wood burning stove it is also the perfect base to come back to after a winters walk around Lands end or up to Cape Cornwall. Wireless broadband available for guests. We offer short breaks out of season so please contact us if you are interested in booking or have any questions.